Description: 1. Energy saved up to 50%. high intensity 2. Instant start, no flickering, no humming 3. New inner high efficiency (95%) With heat protection system, the constant current driver can work under unstable voltage. 4. Special circuit design, each LED can work separately thus it can avoid the influnence that a broken LED causes. 5. Working Temperature:-10~ 40 6. No electric wave. 7. No such hazard that mercury or lead enters the environment 8. No RF interference It adopts super bright LED as its luminous body. The anodized aluminum frame is stylish and fashionable with everlasting color. It is powered by low voltage constant current driver, which is safety, energy-saving and long life. 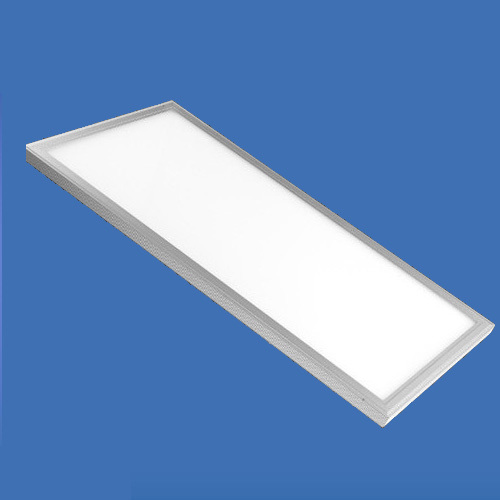 Excellent thermal management can effectively guarantee the LEDs long-term stability. The front panel board is high translucent acrylic, which ensures the light even, soft and high transmittance. Instant start, no flickering, no humming. No hazardous material ( mercury, lead). The installation is very easy, it can insert into the ceiling directly, and it also can be hanging down by using the lifting hole on the back. Instruction 1. Turn off the power. 2. connect the commercial power (90V-250V) with the input of the matched power supply, make sure that no copperware exposed. 3. Connect matched power supply and panel light together through the DC plug. 4. Fix the panel light and power supply at suitable place. 5. Turn on the power. Applications Hotel, Meeting Room, Office, Hospital, School, and places where energy saving and high color rendering index lighting needed.